Dr. Fadok lectures internationally on subjects relating to veterinary skin disease, immunology, and inflammation and is a member of the Veterinary Professional Services Team at Zoetis. She received her DVM degree from Washington State University in 1978, after which she completed an internship in Small Animal Medicine and Surgery at the West Los Angeles Veterinary Medical Group. 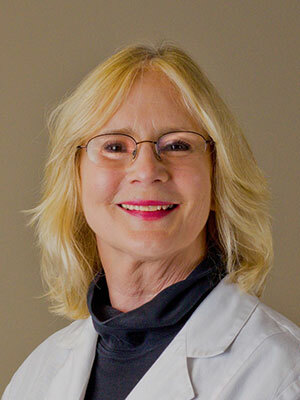 Dr. Fadok also completed a residency in Veterinary Dermatology at the College of Veterinary Medicine, University of Florida, and became board certified in 1982. After serving on the faculties at the University of Tennessee and the University of Florida, she earned a PhD degree in Experimental Pathology at the University of Colorado Health Sciences Center in 1991. She then joined the faculty at Texas A&amp;M University, later accepting a position with the National Jewish Medical and Research Center. In 2004, she entered private specialty practice at the Veterinary Referral Center of Colorado. A move to Houston, Texas, offered opportunities to work at Gulf Coast Veterinary Specialists for 8 years followed by nearly 3 years on staff at North Houston Veterinary Specialists. Dr. Fadok has also contributed as a dermatology consultant for the Veterinary Information Network (VIN). She has lived with at least one atopic dog for the last 37 years; her current project is an atopic Frenchie! He is joined by a normal Golden cross, and 4 parrots. Her hobbies include birdwatching and photography. Managing pyoderma is not a one size fits all plan. We will look at different cases of pyoderma to select the best options for diagnosis and treatment customized to the patient/client needs.